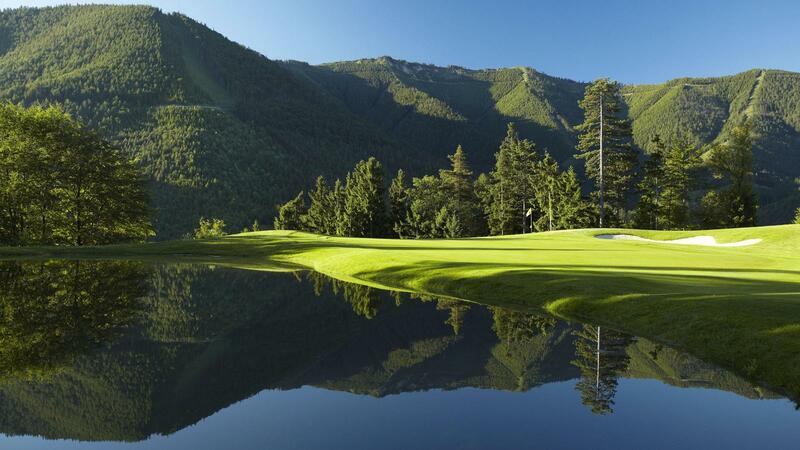 Golfclub Adamstal is located in Lower Austrias’s Alpine foreland in Ramsau and is considered one of Europe’s most beautiful and spectacular golf courses. There are three ingredients that make a golf course fabulous. A spectacular setting – Lower Austria’s Alpine foreland provides the ideal surrounding for impressive views and also has an unmatched scenery. A dedicated architect – the Canadian Jeff Howes, a disciple of Jack Nicklaus, who gave Adamstal its unique design. And a driving force behind the project – Franz Wittmann Austrians 12 times Rally champion, who transferred his ambitions into the golf sport, envisioned and realized the 27 holes. His perfectionism and idealism made Golfclub Adamstal to one of the most spectacular courses in Europe – unique in its design together with an immaculate course condition. 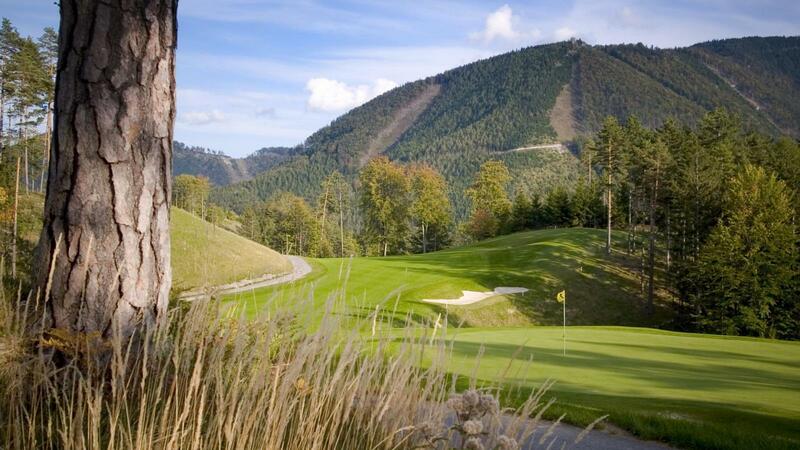 Our guests and members may choose between the 18-hole „Championship-Course“ and our 9-hole„Course Wallerbach“. Each of the 27 holes has its distinct character: Long after finishing a round you will remember their unique features – not only because every hole has its own revealing name, but also was Jeff Howes able to incorporate streams, slopes, clearings and rock formations into a whole masterpiece. 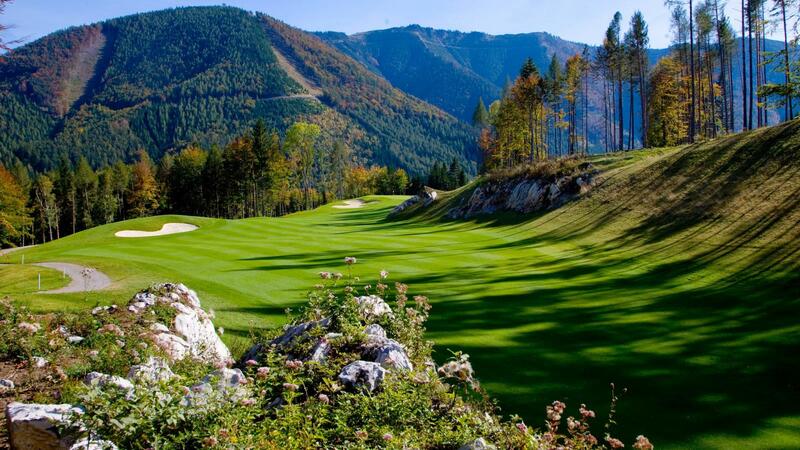 Austria’s alpine foreland, which is rich in diversity, was completely integrated into the courses’ design and reflects directly into the rhythm of the fairways and greens. 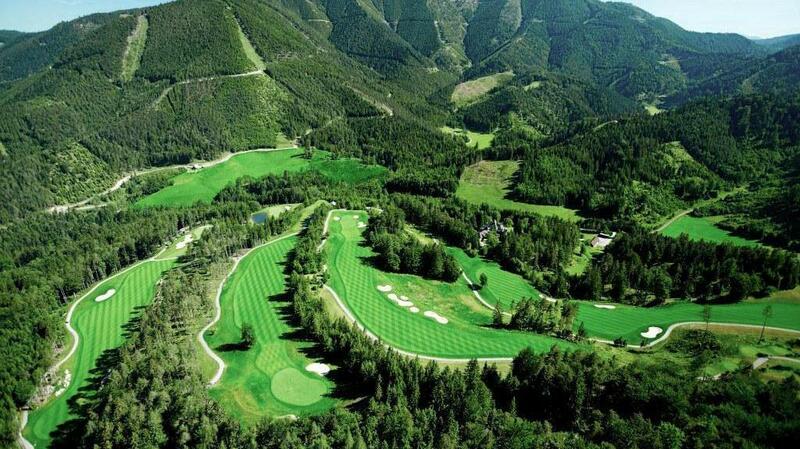 It comes as no surprise that Golfclub has been honoured five times as “Austria’s Golf Course of the Year”. After your last putt in Golfclub Adamstal you are in for a special treat: Our elegant and comfortable clubhouse provides you with excellent catering and cosy bedrooms. We invite you to reflect on your golfing experiences on our comfy terrace, in the winter garden or the lovely furnished rooms.